“There’s a sucker born every minute” is a phrase we commonly associate with the great 19th century showman P.T. Barnum, of Barnum & Bailey Circus. While there is some debate over whether or not he actually ever said it, one thing is for sure, custies have been custies since the dawn of our society. Recently the freewheelin’ weed delivery service Eaze shared an interesting report on the state of cannabis based on data compiled from last year. 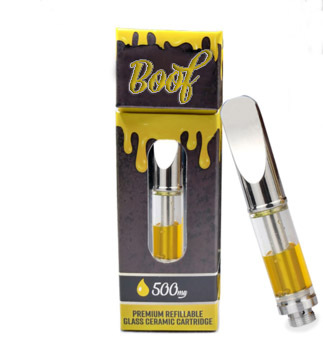 There are several compelling takeaways but at the top of the list is how apparent it is that these schwaggy corporate cannabis brands are desperately relying on the influx of new, uninformed, uneducated consumers to keep them and their midgrade operations afloat. As reported, the amount of first-time consumers in the U.S. grew by 140% last year as cannabis reform took root in traditional strongholds like California, and spread nationwide so that now 33 states plus D.C. have some form of medical marijuana laws on the books, and 10 states have taken it a step further to allow for adult recreational use of the plant. Eaze saw their number of self-admitted first-time cannabis users double from 2017 to 2018. Another group that saw an increase in its ranks from ’17 to ’18 was women, who captured another 3% of the total market share, setting a pace that will balance the scales between the genders’ rate of consumption by the year 2022. Data also reveals that consumers aged 50 and above are among the fastest growing demographics of new cannabis users. 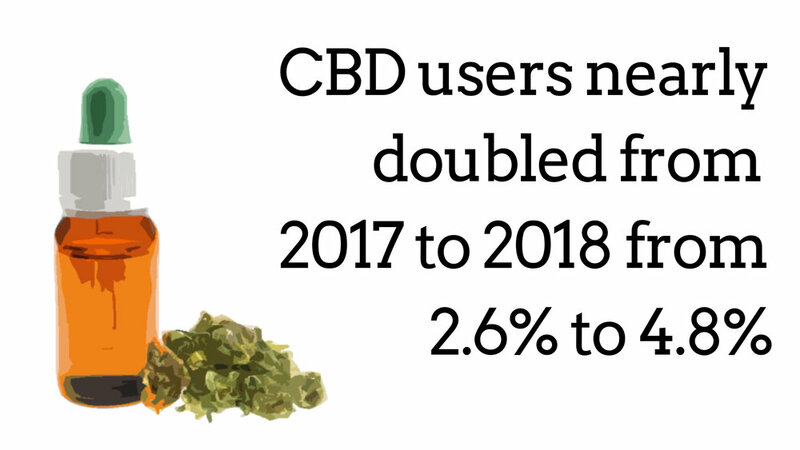 Yet another demo that saw a near-doubling in its numbers in that time frame was CBD consumers, rising from 2.6% to 4.8% in a year. Tying all of these stats together is the fact that female Baby Boomers are now the largest consumers of CBD products at 21% of the market share. To clarify our position, there is nothing wrong with an older lady using CBD. We love it. But the fact remains that the CBD craze is just another example of legal cannabis being exploited by less-than-moral manufacturers and so it comes as no surprise that many of their best customers are those who are walking into the world of weed with a blindfold on. Instead of educating these curious new consumers, many companies are banking on bilking as many bewildered Boomers and conning as many confused custies as they can. They don’t want savvy shoppers, they want in on the easy money. According to Eaze, cannabis consumers born between the years 1946-1964 (the largest growing demographic) are spending 53% more per month ($95.04) than their younger counterparts ($62.35). As much as we’d like to picture them rolling fat doinks of loud buds all day long, the fact is that our seniors are spending more and getting less and most of them simply don’t know any better. Meanwhile, the “black” market in places like California is still thriving. With legal markets packed with overpriced, overpackaged midzotics, barely dosed edibles, or vape pens named after someone’s feelings, it’s not a shock that the established and knowledgeable consumer base that brought cannabis to the mainstream has largely gone back to its roots to reup their stash. Eaze says that it received an order for cannabis once every eight seconds last year. That’s pretty remarkable when you consider how long it takes some of their best customers to dial a rotary telephone. U.S. military veterans make up just 3% of cannabis consumers. We’re hoping that much needed legislation makes it through our federal government this year to give this underserved sector the same rights as their friends, families, and neighbors have. Disabled people make up 11% of cannabis users, according to the data compiled by Eaze over the course of 2018. The average age of an Eaze cannabis consumer is 31 years old. For the first year on record “Green Wednesday”, or the day before Thanksgiving, led the way in total cannabis sales on a calendar day, leaving 4/20 and Halloween vying for a distant 2nd and 3rd. Eaze points to this stat as proof that cannabis is going mainstream, and they may be right. . . or maybe Aunt Linda’s annual Thanksgiving Pea Salad just goes down easier after a few dabs of kush. And on a final positive note, those surveyed by Eaze reported a 71% drop in the reliance of over the counter pain meds and a 35% drop in the reliance of prescription pain medication. In fact, ALL demographics showed a decline in the use of both OTC and perception pain meds. Thank you, Eaze, for these insights and thank you, cannabis, for making it all possible.